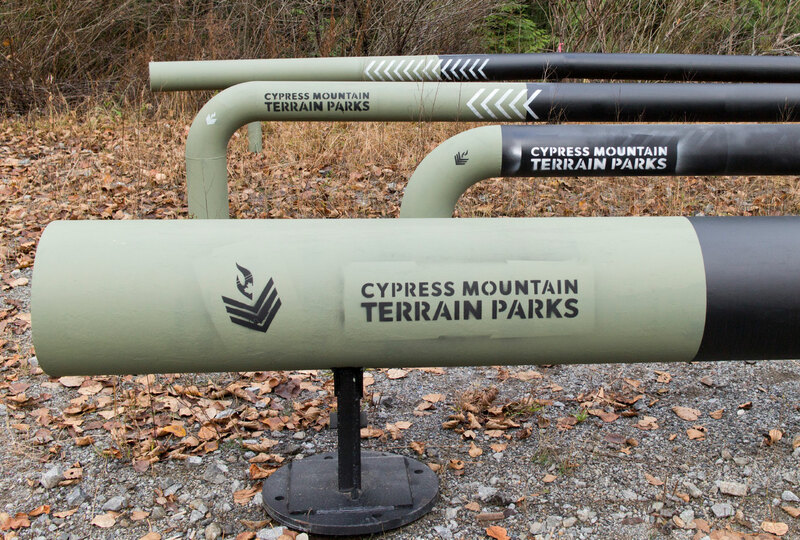 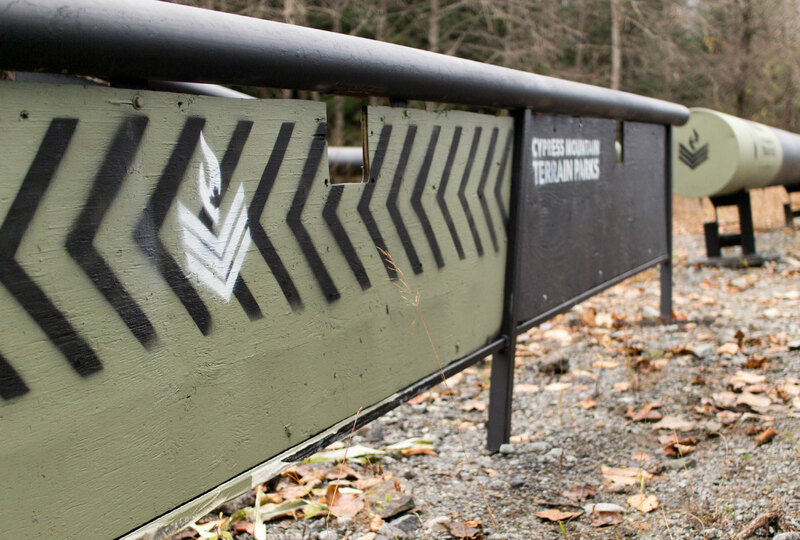 Cypress Mountain was looking to re-brand their terrain park to not only freshen the identity but to also reinvigorate its culture. 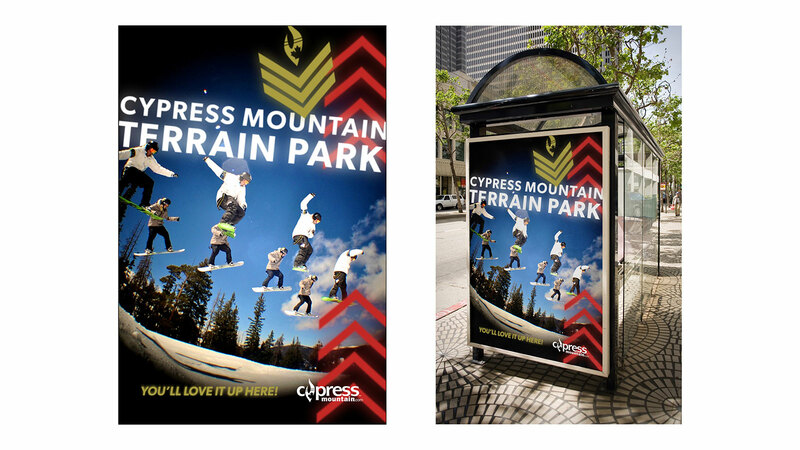 Using simple but bold graphics that can be layered to evoke the energy and chaos of skiing and riding the parks. 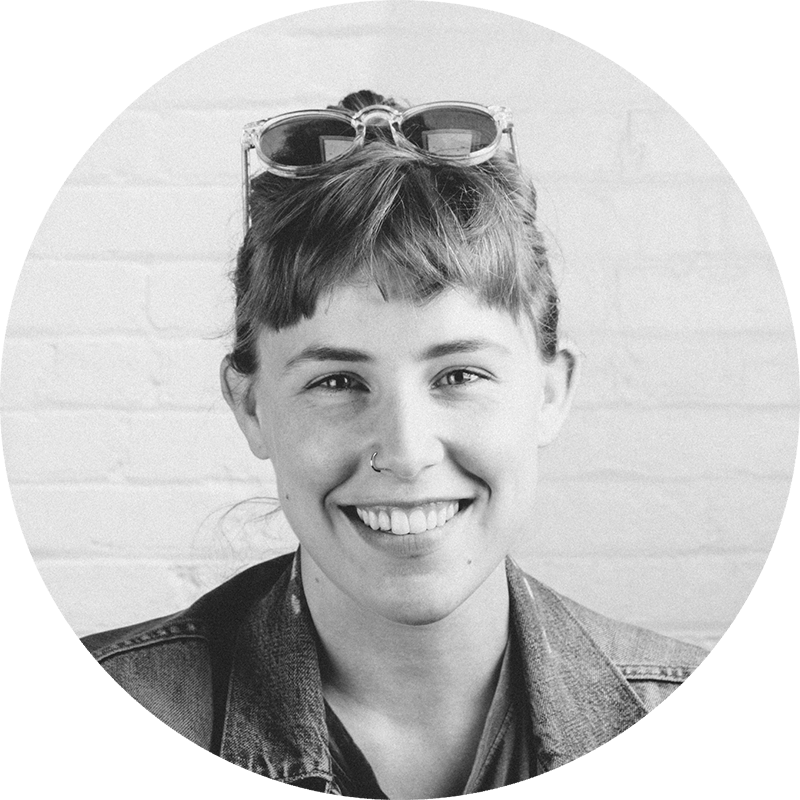 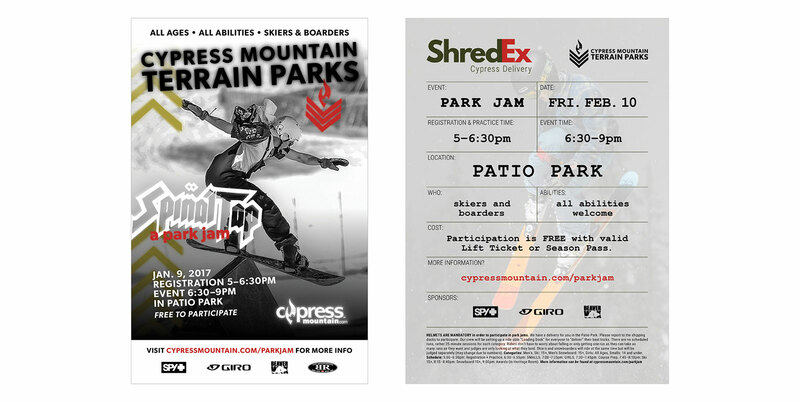 Creates a new culture for cypress terrain park that speaks to intermediate skiers and riders but also inspires and attracts beginners.